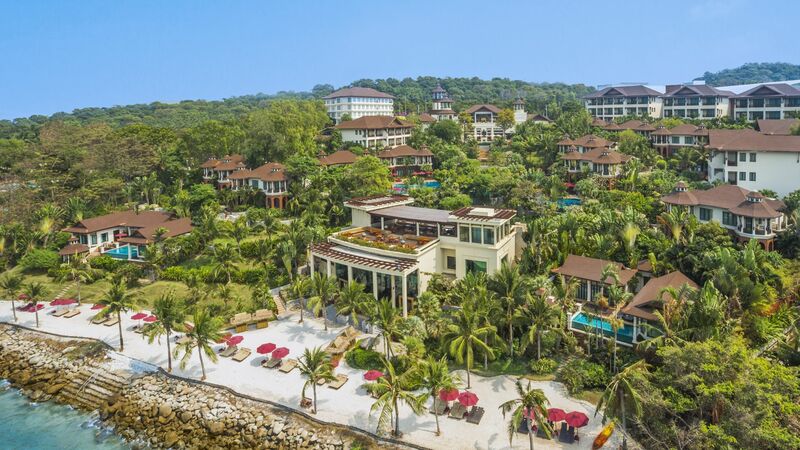 More like a private country club than a typical holiday resort, InterContinental Pattaya Resort combines five-star standards with all the warmth of traditional Thai hospitality. 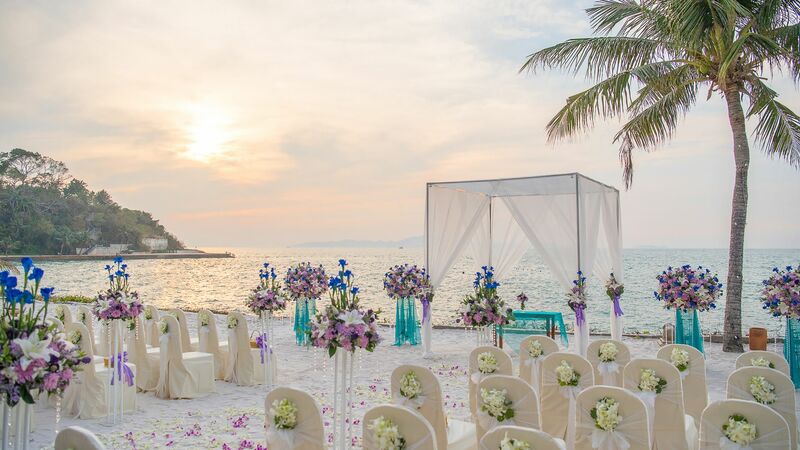 Set on the low cliff of a headland jutting into the sea on the southern side of Pattaya, the resort offers sweeping views across the bay to Koh Larn (Coral Island) and beyond. 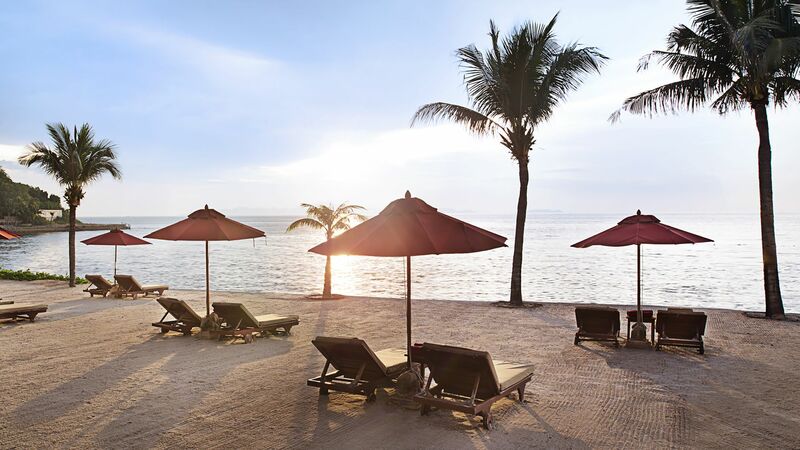 With its verdant gardens and its own private beach, the resort offers a tranquil getaway in an idyllic location. 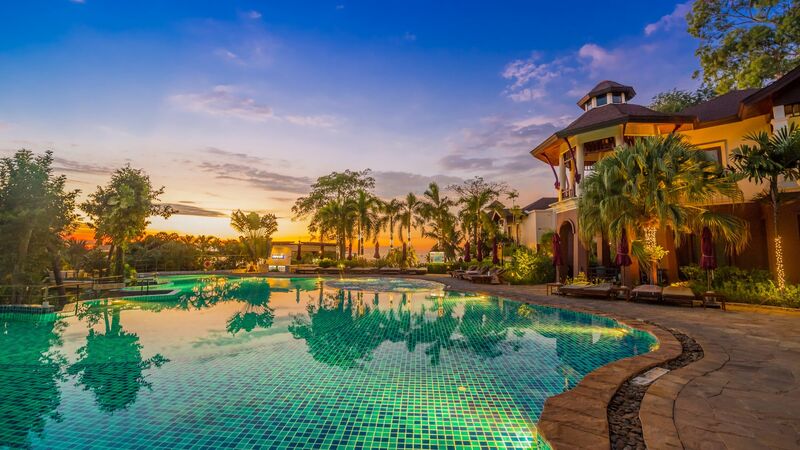 The resort can be reached within 90 minutes from Suvarnabhumi International Airport or 30 minutes from U-Tapao International Airport. DESTINATION Pattaya City is a major seaside resort on the Gulf of Thailand. There are plenty of sporting opportunities both on land and water including golfing, game fishing and scuba diving. Theme and amusement parks, offbeat museums and botanical gardens provide a variety of leisure activities, while shopping, restaurants and nightlife ensure action and entertainment for all members of the family. 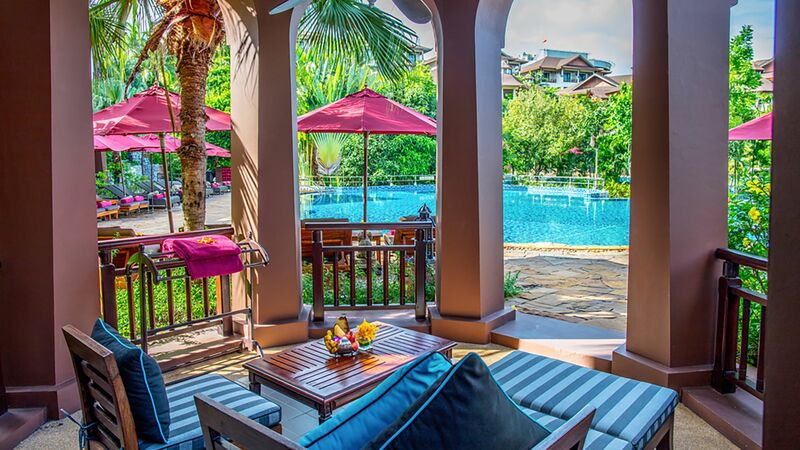 A blend of traditional Thai style and contemporary décor, with rich wood furnishings, crisp fabrics and fresh flowers form the décor of each of the 156 spacious guestrooms, including 40 rooms with an outdoor sala, or pavilion, and two exquisite villas each with their own private plunge pool. 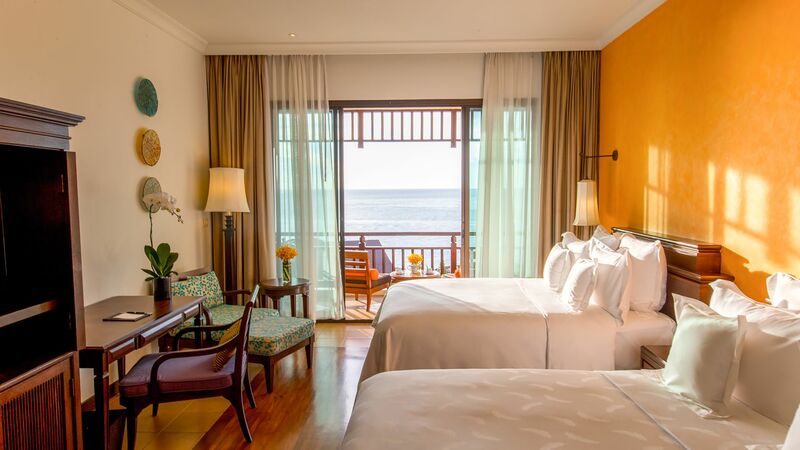 Every room has a private balcony looking out onto the lush tropical gardens or the majestic blue ocean. 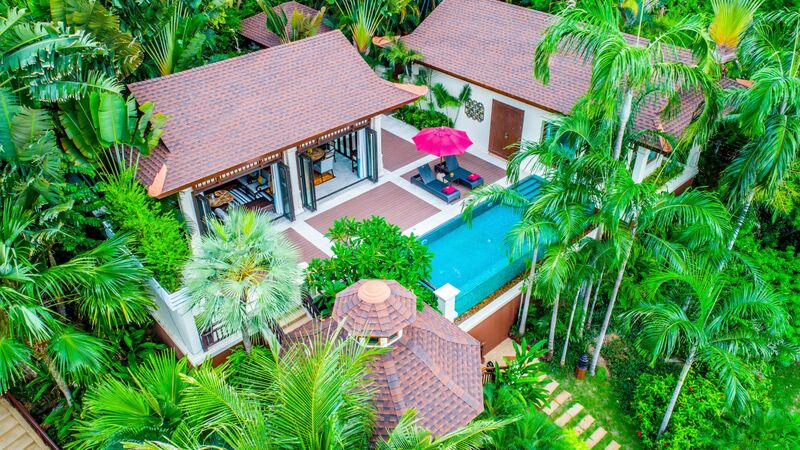 Two oceanfront villas – Baan Sai Nam (two bedrooms) and Baan Sai Chol (one bedroom) – provide a private villa experience, complete with personalised butler service. The villas are located just above our private beach and offer clear, unsurpassed views across the Gulf of Thailand to the nearby islands. Each villa has separate dining and living areas, a state-of-the-art plasma TV, and a private Infinity pool and sundeck. All bedrooms have open-plan bathrooms with large terrazzo bathtubs for two, large rain showers, and plenty of vanity space. AMBURAYA SPA - Balance your body and mind after a long flight, or after an active day, at Amburaya Spa. 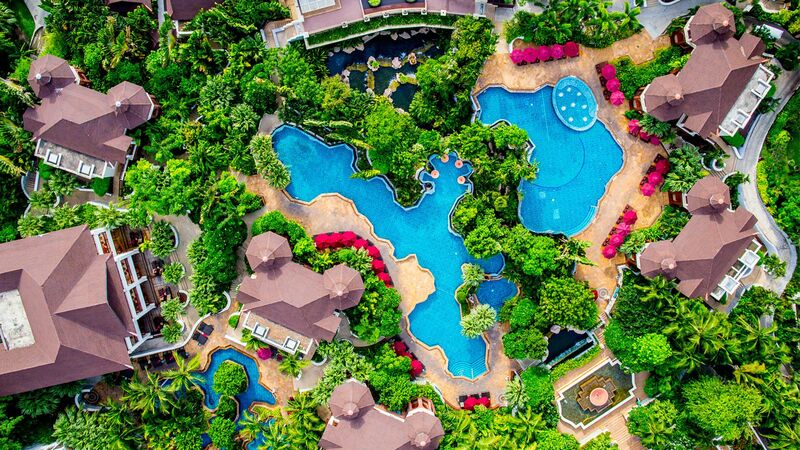 Set in a tropical garden with enchanting water features, and with a décor of natural woods and fabrics, this wellness oasis is a tranquil retreat that offers a holistic assortment of body, facial, and beauty treatments. SWIMMING LAGOONS - Three outdoor, freeform swimming lagoons are set in the lush tropical gardens, each within easy walking distance of the others. There are spacious sundecks with plenty of sunbeds for all-day lounging, and Infiniti restaurant provides a poolside menu of snacks, pizza, beverages, and more. FITNESS CENTRE - Maintaining your health and fitness routine while on the road helps make travel more enjoyable. The Fitness Centre is open 24 hours and has all the equipment you need for your regular workout. GUEST ACTIVITIES - Guest Activities Centre opens daily and is staffed by professional personal who are able to assist with planning your holiday activities to ensure you get the most out of your holiday and enjoy the full Pattaya experience. 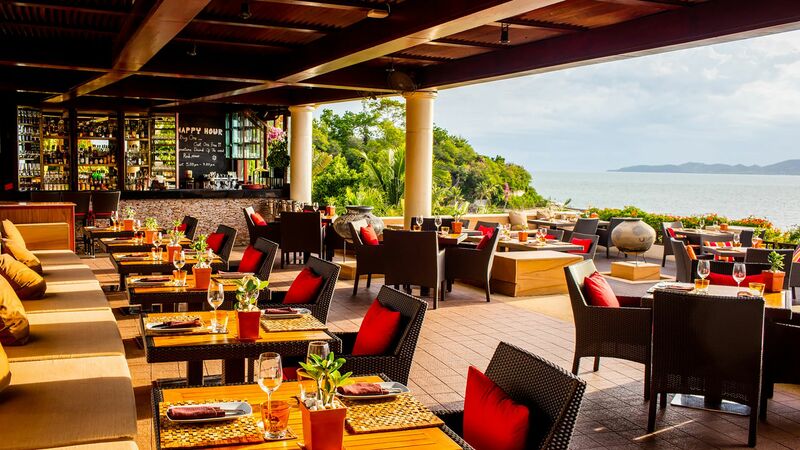 Two great restaurants, each with indoor and outdoor seating options, feature tantalising dishes from around the globe, and all offer stunning views overlooking the Gulf of Thailand. For your convenience, the in-room dining service is available 24 hours, every day of the week. INFINITI Restaurant - Relax to the max at this picturesque oceanfront restaurant where the culinary delights come straight from the wood-fired oven and imported meats are grilled to perfection. The resort is perfect for meetings, seminars, private receptions, parties and weddings. The Phratamnak Room can cater for an elaborate banquet and theme parties, and its flexible space allows for meetings of up to 200 persons seated theatre style. Take a break in the beautiful Phratamnak Courtyard, a lush oriental garden that features its own waterfall, and which can hold 40 people. For small meetings, the resort offers an excellent Boardroom and fully equipped Business Centre. The resort’s beach is a lovely setting for cocktails and canapés, and for a BBQ.